Not all options will be available on all models. Please contact your local Land Rover Retailer to find out more. A striking contrast roof in Black or Grey will perfectly complement your choice of exterior body colour. You also have the option of a full glass fixed panoramic roof providing you with uninterrupted views of your surroundings to give you the feeling of the great outdoors, indoors. 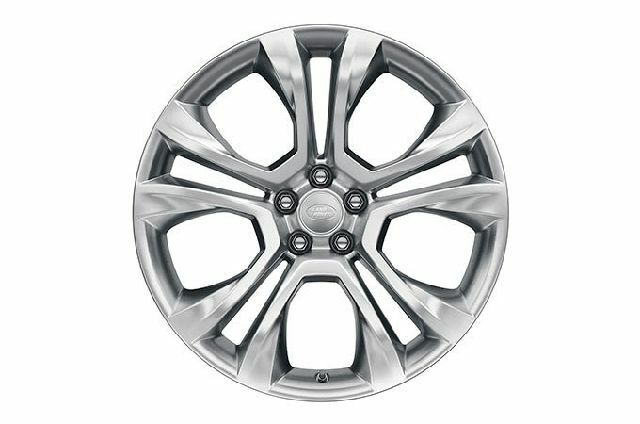 Match your choice of exterior styling accessories by adding your favourite alloy wheels. They are available in a number of sizes from 17” to 20” as well as a variety of finishes, including Diamond Turned, Gloss Black or Gloss Dark Grey. Adaptive Xenon headlights with LED signature deliver an enhanced light output for better visibility and safety at night. They automatically align with steering inputs and follow the curves of the road for better vision. Included with this option are rear LED lights and headlight power wash. The interior can be adapted with ease and includes the option of 5 + 2 seating. Both driver and front passenger’s seat share equal functionality including up to 10‑way movement and memory. Choose slide and recline second row seats for flexibility between loadspace and seating. 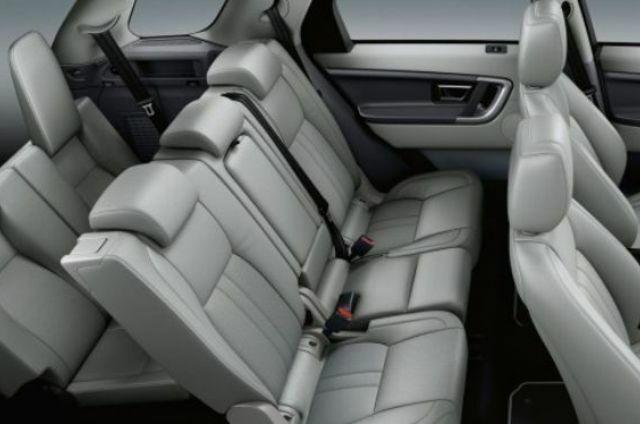 The generous cabin space is beautifully designed for the comfort of you and your passengers. 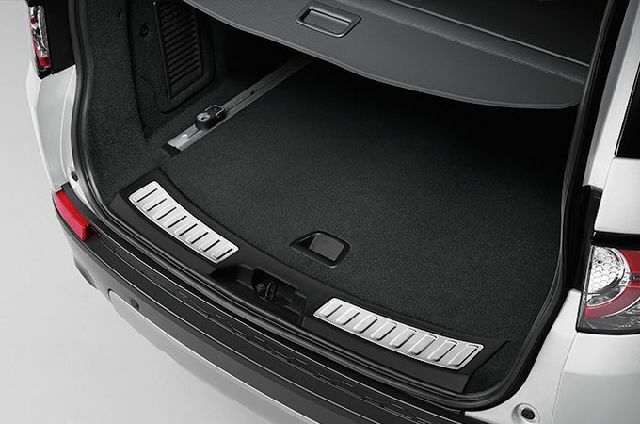 Furnished with high-quality materials, such as double-stitched leather, surfaces are also hard-wearing and practical. Elegant, modern colour schemes, such as the Glacier interior theme, stand out from the crowd. Climate Control is a must if you live anywhere with extreme weather conditions, hot or cold. High level vents in the second row keep your passengers comfortable, and the temperature can be adapted to different areas of the vehicle. 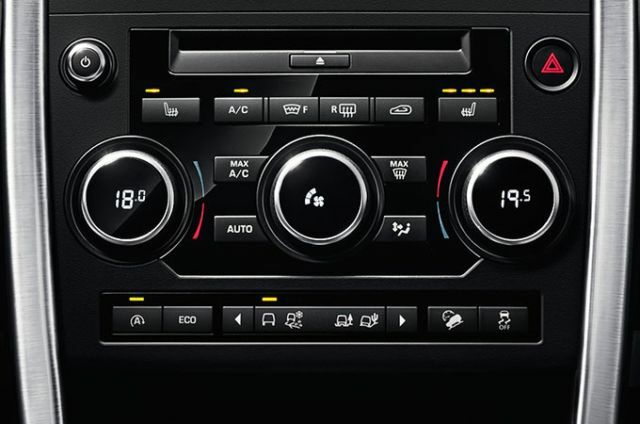 You can also choose additional cooling for the third row. The Black Design Pack is available in all exterior colour options and includes a choice of 18”, 19” and 20” Gloss Black alloy wheels. Other features include Narvik Black grille, fender vents and Black mirror caps, while Black Discovery bonnet script and tailgate badging add the finishing touches. The stylish Graphite Design Pack comes with a Grey contrast roof, Narvik Black mirror caps and a choice of Gloss Dark Grey 18”, 19” or 20” alloy wheels. Individual elements such as fender vents, grille and surround are finished in Dark Atlas, with matching Discovery script on the bonnet and tailgate. * The high powered Si4 290PS engine features a unique bumper as standard. Fog lights not available. Enhance your vehicle's appearance with eye-catching details, add protection to guard against damage and upgrades for off-roading. 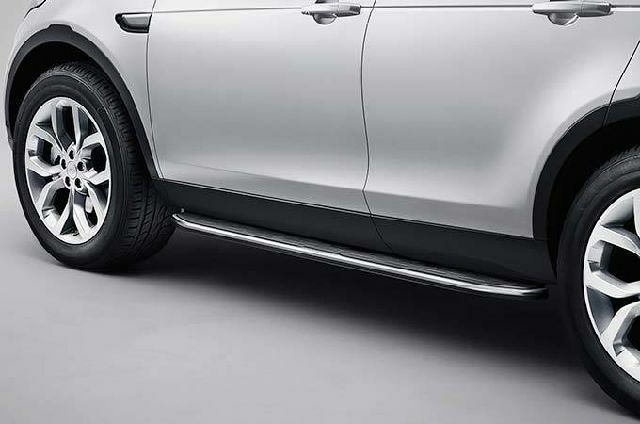 Add Land Rover Approved extras at any time, from child seats and protective coverings to entertainment and technical upgrades. 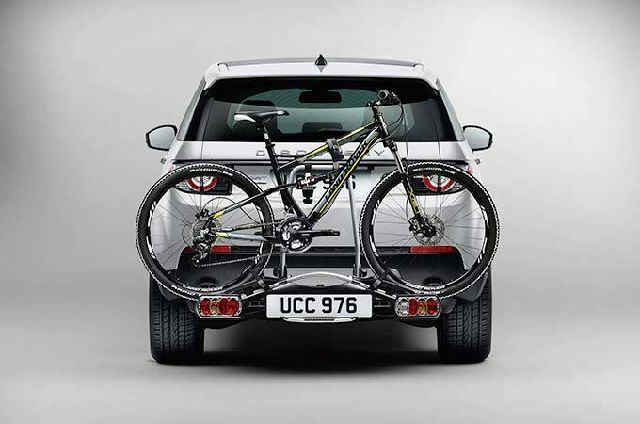 With a roof rail kit fitted, choose specialised storage for sports gear, and accessories to utilise Land Rover's towing capability. 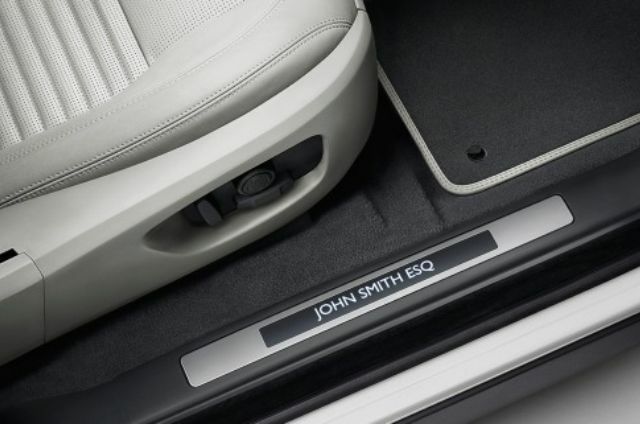 Personalise the appearance of your Land Rover with alloy wheels, and enhance them with styled and branded accessories.